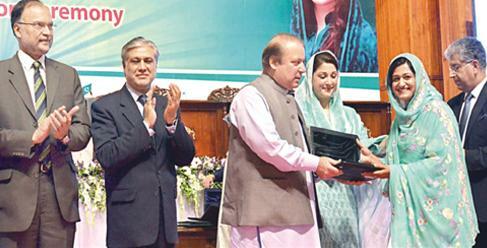 PM Nawaz Sharif Laptop Scheme 2014 2015 for Allama Iqbal Open University Students Islamabad. Laptop Scheme Forms Download and Registrations. The students who were (1) enrolled in a 4-year BS or Masters program in Autumn 2012 or after, AND (2) have secured 70% or above marks cumulative of all previous semesters, are requested to validate their respective record at HEC student’s portal on http://pmnls.hec.gov.pk. The laptops will be delivered subject to availability only.